was founded in 1993 to provide high quality, expert historical research services to clients. Our services have expanded to include Section 106 documentation, preparation of National Register of Historic Places nominations, litigation support services, creation of narrative text for interpretive exhibits, and house histories. If your project requires historical research or documentation, contact us. Treasure Valley’s Electric Railway, celebrates the history of the electric railway in Ada and Canyon counties. Construction of what became the interurban began in 1891. When it was completed, the system lasted until 1928, supporting the growth of neighborhoods and communities, inspiring the creation of local parks, and providing recreation and entertainment opportunities to rural and urban residents. 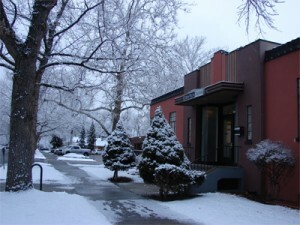 "In 2004, we moved into our new office at 1009 W. Fort Street in Boise. We asked Barbara Perry Bauer and Elizabeth Jacox to prepare a history of our new office (The Randolph & Lulu Hitchcock House). Their work was thorough and prompt, and Barbara and Elizabeth were great to work with. Our clients love the house and enjoy reading about its history." "As liaison for the Ada County Historic Preservation Council I hired TAG Historical Research to research a chronicle of important historic milestones for Ada County, and to find historic images that would be appropriate for illustrating these events. Working from only a general concept of the project the TAG team determined the level of detail required to meet the programs objectives. I was kept informed as the project progressed and TAG was flexible in adjusting the program parameters to achieve the desired outcomes. The work was performed within budget and ahead of schedule. TAG’s work greatly surpassed our expectations." "Elizabeth & Barbara researched and completed a wonderful little history for a home I own in the North End. It is so fun to know more about the people who came before me in making the house a home, and Elizabeth & Barbara were great to deal with. They are passionate about their work!" "Over the last seven years our city Nampa, Idaho, has utilized TAG a number of times for our historical surveys. These surveys were used in creating the Nampa Downtown Facade Restoration Project which included a score of properties, many of which were listed on or eligible to the National Register of Historic Places. The information and background documentation done by TAG was instrumental in attracting partners to our project. I could not recommend any group more highly than TAG; both Elizabeth and Barbara do it right." "While serving as Chair of the TFCHPC, I always looked forward to working with the professionals, Elizabeth and Barbara, at TAG Research and Consulting. Their friendly, welcoming personalities put me at ease when we worked together in the field or communicated on project issues. Because the TFCHPC prefers being a “hands-on” group when it comes to projects, Barbara and Elizabeth invited us on occasion to join them in the actual survey. It was certainly a pleasure to directly witness their professionalism, even on those windy, cold days at the Milner townsite."